DISCOVER THE GIFT OF HELPING OTHERS! LOS ANGELES (Sept. 5, 2013) - This fall, get ready for a story about healing, finding one's purpose and discovering the gift of the season. 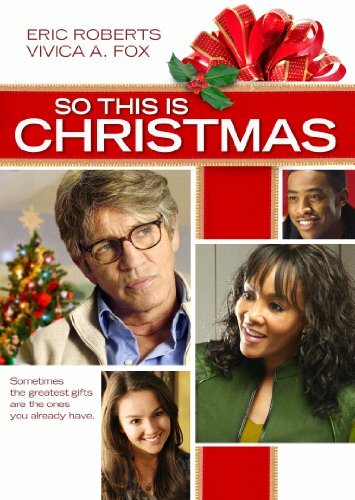 On Oct. 1, 2013, Image Entertainment, an RLJ Entertainment (NASDAQ: RLJE) brand, brings you So This Is Christmas on DVD and Digital Download. Starring Vivica A. Fox (Independence Day), Eric Roberts (The Dark Knight), Lexi Ainsworth ( "General Hospital") and Titus Makin, Jr. (A Cinderella Story: Once Upon a Song) and directed by Richard Foster, So This Is Christmas will be available for an SRP $27.97 on DVD. Eighteen-year-old Ashley's life is headed in the wrong direction. She's been hanging out with a bad crowd and seeking an escape from the drama at home. Everything begins to change when a handyman working on the family's house encourages her to volunteer for a Christmas play with underprivileged children. Ashley finds purpose by helping people in need and uses that to help heal her troubled family. Together, they discover the impact one person can make through the gift of giving.